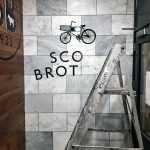 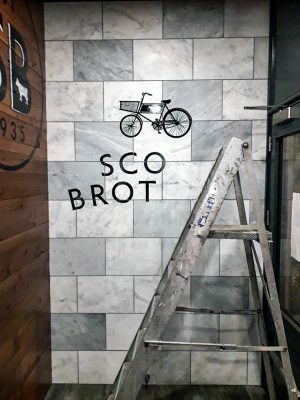 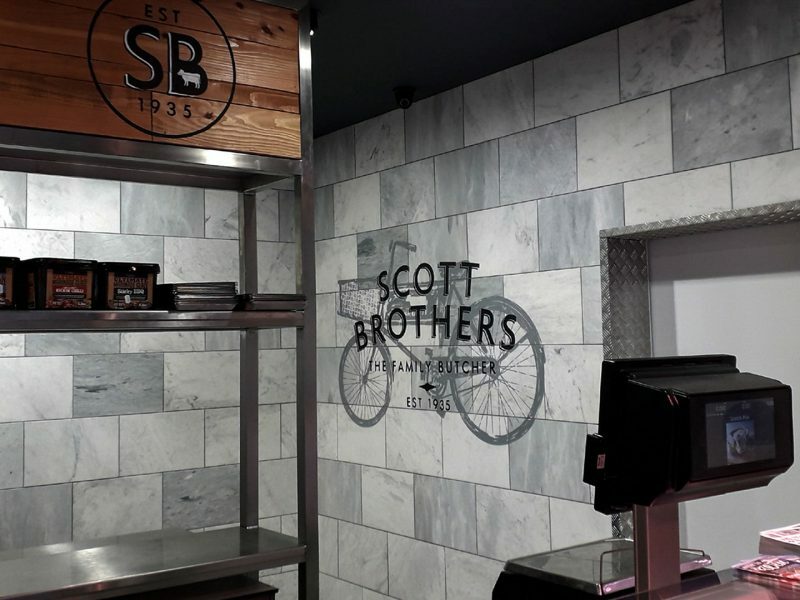 EVM worked with long established Scott Brothers butcher’s shop to create an authentic traditional look for their high quality establishment. 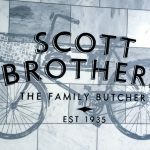 Scott Brothers has been trading in Dundee since 1935 and is still going strong today. 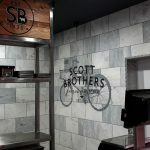 The family wanted their shop to reflect the traditional values that has been at the heart of their ongoing business success. Our scope of work included hand painted graphics applied directly to marble and timber, as well as direct to substrate signage that all faithfully echoed times gone by. 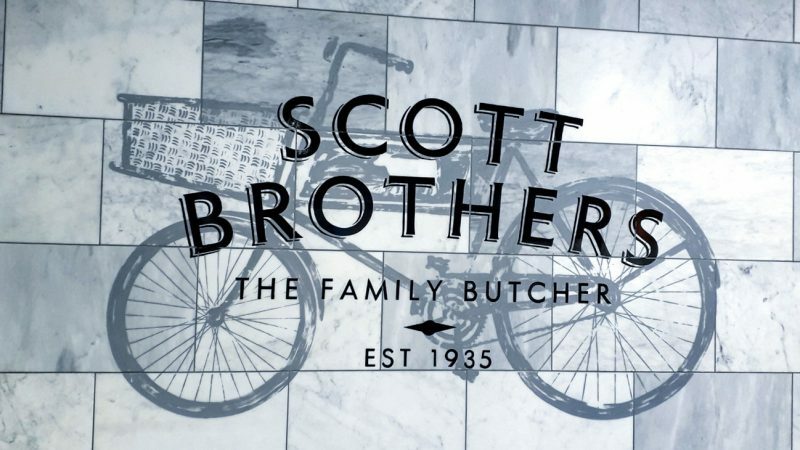 The traditional butcher’s bike once used on a daily basis by family’s grandfather and founder of the business was a strong feature of the scheme and was reproduced faithfully on the walls of the shop in all its glory.